Cigdem Eskicioglu is a professor of engineering at UBC’s Okanagan Campus. 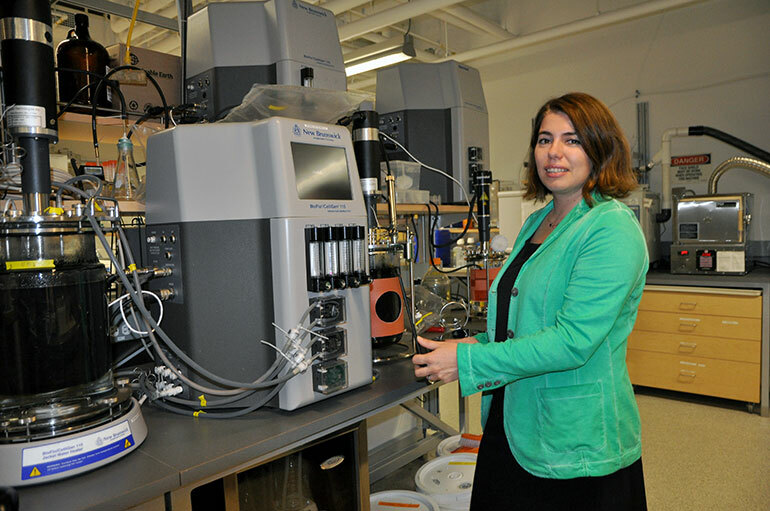 Cigdem Eskicioglu, an associate professor with UBC Okanagan’s School of Engineering, says many wastewater treatment facilities use anaerobic digestion – microorganisms fermenting organic waste – as an effective way to recover energy and nutrients from wastewater residual sludge. However, the process also produces toxic, corrosive and extremely odourous sulfuric gases, like hydrogen sulfide, which prevented many communities from adopting the technology. While metal salts have long been used in wastewater treatment to control smell, it’s their unique doses and point of addition during the fermentation process that seems to be particularly effective in controlling odour and pathogens, according to Abbott. He also points out that the cost of adopting their technique is minimal. The study was published in Science of The Total Environment with financial support from the Natural Science and Engineering Council of Canada (NSERC) and from the Scientific and Technological Research Council of Turkey (TUBITAK).